Members of the 461st Flight Test Squadron and Joint Strike Fighter Integrated Test Force have built a decontamination shelter on the flightline to conduct chemical and biological decontamination tests on the F-35 Lightning II. Tests will begin toward the end of August. After years of preparation, the 461st Flight Test Squadron and Joint Strike Fighter Integrated Test Force at Edwards Air Force Base, Calif., are ready to test the F-35 Lightning II’s ability to be decontaminated from chemical and biological weapons exposure. 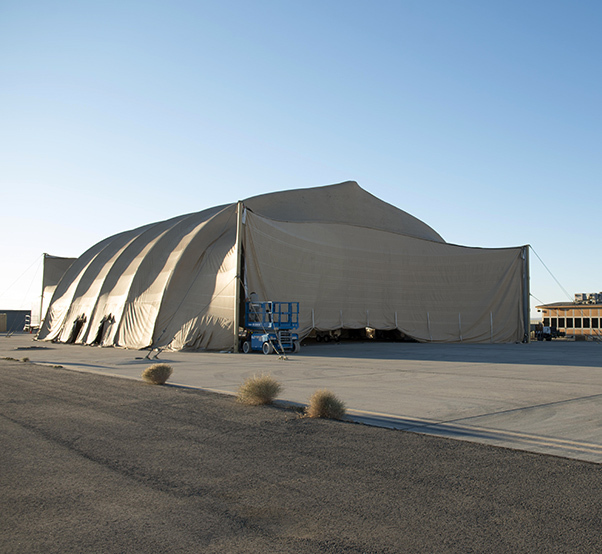 Contractors, Airmen and Air Force civilians have been tirelessly working in the High Desert heat the past few weeks to finalize the construction of a decontamination system and facility on the flightline to house and decontaminate an F-35A. It will be the first time an F-35 has been decontaminated. It will show the Department of Defense and joint-partner nations that the F-35 has met the F-35 Joint Program Office’s requirements for decontamination and certify the weapon system to go into full-rate production. The effort is to demonstrate the fifth-generation fighter’s survivability can be maintained if exposed to such threats around the world. “Our focus is on the aircraft decontaminability and that’s what we’re here to prove,” said Joe Nemes, Air Force Research Laboratory, Chemical/Biological project lead engineer. AFRL is the lead organization responsible for developing the test plan and techniques for gathering decontamination data for analysis for the JSF JPO. The 461st Flight Test Squadron’s F-35A, tail number AF-04, will be contaminated several times starting the end of August and towed into the decontamination facility to see if it can be cleaned of chemical or biological weapons exposure. AF-04 is a highly-instrumented F-35 test jet with modifications to specifically collect data while being tested in the air or on the ground. “Because these are tests we’re doing here, there’s an extensive amount of sensors and test equipment that were going to use to analyze and make sure the plane is clean. But, in the real world, theoretically, you put it in (the decontamination facility) and run the system, pull the jet out and go fly,” Nemes said. For the tests, the F-35A will be “contaminated” with simulants, which are elements that have been researched and tested to be safe, but mimic the properties of the harmful agents. 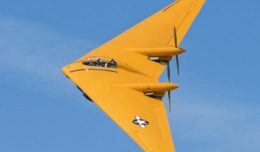 “The aircraft is going to be exposed to simulants, chemicals and biological materials that are harmless, but have been examined in labs and by other field-operational tests to be harmless and safe in California,” said Nemes. Each test procedure will be conducted in three parts. Once complete they’ll tow it to a third site and collect more samples and conduct another engine run to verify no damage was done to the aircraft. The decontamination shelter takes about four weeks to construct and is nearly complete. It consists of four components. First, an external air beam shelter, which protects an inner structure — the aircraft enclosure. The tent is there to protect the enclosure from the elements — wind loads, solar loads and everything else the desert climate will present throughout the system’s roughly six-month tour here. The aircraft enclosure allows the plane to be simultaneously decontaminated externally and internally within walls made up of insulated panels. The other two parts of the system will decontaminate the F-35 by exposing it to high temperatures. The heat is created by Large Capacity Field Heaters and the Tactical Cargo and Rotary Wing Aircraft Decontamination systems. They deliver a specified high level of heat for a specified length of time. “If we started at a level of contamination and then run the decon process, and we see that the contamination is lower, we’ve met our goal, regardless of the decon system,” said Nemes. The last several chem/bio tests over the past years at Edwards were buildups testing the decontamination system, technology, and also the risk mitigation on using an actual aircraft. “We wanted to make sure everything was safe to the aircraft before exposing it to the decontamination process,” said Darren Cole, 461st Human Systems Integration lead. Testing will be conducted with AF-04 through December, and if all goes well, additional testing will be conducted with a Marine Corps F-35B from the operational fleet early 2017. That effort will be the final decontamination tests for the F-35 Joint Program Office.